Stay in relaxing fan-cooled tents and train under certified dive instructors to complete the PADI Open Water Diver course, the most widely recognized scuba course in the world. 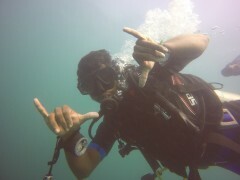 And where better to get your Open Water Diver training than in the Andamans? The Andamans have gorgeous reefs, teeming with colourful marine life. Here, you'll get 4 days to explore the blue ocean, going as deep as 18 metres or 60 feet under the water. On this course, you'll be scuba diving in Havelock Island, in small groups, at some of the most stunning dive spots in the world. You'll train in 5 theory modules, as well as 5 sessions of confined water skills, equipment orientation and troubleshooting techniques, and finally, the highlight of your certification, 4 open water dives. For your PADI Open Water Diver course in Havelock, you'll be diving at some of the best dive spots in the world. The beach has teal-blue waters, soft white sand, and is fringed by lush green forests. Thanks to the clean water, high visibility, and wide diversity of marine life in the Andamans, this is an adventurer's paradise and attracts divers of all skill levels, from around the world. Newer and deeper sites are being discovered, and some of these locations are highly recommended, with most offering a great topography and fish life. 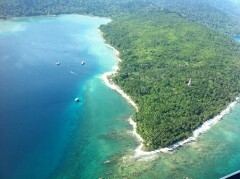 You'll be staying on Havelock Island, on a gorgeous white beach, close to the snorkeling and dive sites around Havelock. Located on the same property as the dive center, your tents are equipped with comfortable beds, bed-side tables, pedestal fans and attached washrooms. Your package includes set breakfasts at the in-house restaurant. • Earn your PADI Open Water Diver certificate. 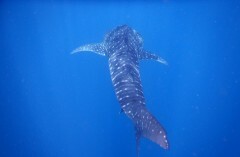 • Dive to a depth of 60 feet/18 meters to see stunning coral reef and fish. • Stay at a beachside propety in fan-cooled tents. Travellers are required to follow instructions of the dive instructor during the PADI Open Water Diver course. If travellers are not able to complete all certification requirements of the course, they may be issued an intermediary certification or referral form. A few days before the course begins, travellers will be sent PADI e-learning material that can be used to get a head start before the course begins. The tour operator reserves the right to alter or cancel the itinerary of this PADI Open Water Diver course due to bad weather conditions to ensure maximum safety of divers and staff. Arrive at the dive center by noon and check-in to your fan-cooled tents. You can spend the rest of the day at leisure. Visit the beach to take a dip in the ocean or explore the rest of Havelock Island. Make sure to meet the team at the dive center to take care of any pending paperwork before beginning the course tomorrow. Overnight in fan-cooled tents at Havelock Island. Stay in relaxing, fan-cooled tents at the dive center. Meet your dive instructor by 07:00 hrs. You'll begin the course by going through theory modules covering the use of scuba equipment, dive technique and general information. Each module has a corresponding confined water training session, where you'll work with your dive instructor in shallow water to practice your skills and demonstrate your knowledge. Your training for the day ends by evening. Overnight in fan-cooled tents at Havelock Island. Practice your skills in shallow water for first two days of the course. Follow the same itinerary as yesterday: meet the dive instructor, learn using theory modules, practice skills in shallow water. You'll upgrade to covering a few of the more detailed and intricate scuba skills. Your training for the day ends by evening. Overnight in fan-cooled tents at Havelock Island. It's diving day! By now, you'll have learned enough to be confident for the open sea. You'll take a boat ride to some of the dive spots around the island and suit up for your open water dives. Working with your dive instructor, you'll complete two open water dives, of 45 minutes each, going down to a maximum depth of 60 feet. Return to the dive center by late afternoon. Overnight in fan-cooled tents at Havelock Island. Complete 4 open water dives of 45 minutes each. 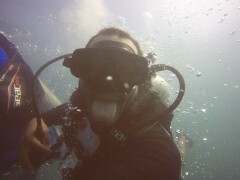 Day 5 of PADI Open Water Diver course: 2 open water dives! It's diving day! Take a boat ride to some of the dive spots around the island and suit up for two more open water dives. Working with your dive instructor, you'll perfect your dive technique with two open water dives, of 45 minutes each, going down to a maximum depth of 60 feet. Return to the dive center by late afternoon and complete the paperwork for your certification. Overnight in fan-cooled tents at Havelock Island. Spot exotic marine life deep inside the Andaman Sea. 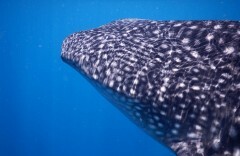 Check-out of the dive center by by 10:00 hrs. Your trip ends here. Overnight in fan-cooled tents at Havelock Island. Check-in to your accommodation by noon. You'll be accommodated in fan-cooled tents at the dive center on twin-sharing basis. Since no meals are included in today's meal package, you may visit any of the restaurants on Havelock Island to have additional meals at your own expense. Complete the first day of your Open Water Diver training. You'll be accommodated in fan-cooled tents at the dive center on twin-sharing basis. Today's meal package includes only breakfast at the in-house restaurant. You may visit any of the restaurants on Havelock Island to have additional meals at your own expense. Complete the second day of your Open Water Diver training. You'll be accommodated in fan-cooled tents at the dive center on twin-sharing basis. Today's meal package includes only breakfast at the in-house restaurant. You may visit any of the restaurants on Havelock Island to have additional meals at your own expense. Complete the third day of your Open Water Diver training. You'll be accommodated in fan-cooled tents at the dive center on twin-sharing basis. Today's meal package includes breakfast at the in-house restaurant and lunch in between the two dives. You may visit any of the restaurants on Havelock Island to have additional meals at your own expense. Complete the fourth day of your Open Water Diver training. You'll be accommodated in fan-cooled tents at the dive center on twin-sharing basis. Today's meal package includes breakfast at the in-house restaurant and lunch in between the two dives. You may visit any of the restaurants on Havelock Island to have additional meals at your own expense. Check-out of your accommodation by 10:00 hrs. Today's meal package includes only breakfast at the in-house restaurant.